The French army got down to its mechanization after World War I. Mechanization also affected the cavalry—the mobile strike force. In early 30s the cavalry shaped their tactical and technical specifications for the armored combat vehicle—it was a tank designed specifically for mobile mechanized units. The vehicle was designed by SOMUA—a subsidiary of the weapons manufacturer Shneider. The contract for designing and building the 13-ton tank with armor thickness over 40 mm and the high speed above 30 km/hour was signed in October 1934. SOMUA spent only 7 months to build the first prototype. In April the prototype model was ready. Such a short term was achieved by using foreign experience. The engineers who designed the suspension and transmission earlier worked with the Czech Skoda, so these components were basically borrowed from the superior light tank Lt.35. The engine and the gear box also “descended” from the Czech Republic. The speed and fuel distance of the new tank completely satisfied the requirements of the cavalry, but much work had to be done to eliminate defects. The cavalry badly needed the new tanks, so they did not wait for the final “polishing” of the vehicle and made the first order. The vehicle entered service in 1939 designated the Char 1935 S, but more commonly known as the SOMUA S35. Due to the limited time of putting the vehicle into service the S35 had poor mechanical reliability and the arrangement of modules required enormous maintenance efforts. So within the following two years many improvements were made to the vehicle design. Only when most flows were eliminated, the cavalry officially put the S35 into service and started purchasing the vehicle on a wide scale. Mobile, well-armored (up to 36 mm of the front hull armor and up to 56 mm of the turret armor), and equipped with the superior 47-mm gun, this combat vehicle is rightfully considered to be one of the best tanks of its time, not only in France, but in the whole world. A considerable disadvantage of the vehicle was the one-man turret that made the commander perform duties of the gunner and the loader. Theoretically, after the S35 got a turret with a wider turret ring, the radio operator could assist the commander in loading the gun, but in battle it was basically impossible. Already in the spring of 1939 the French shaped the technical requirements to modernization of the SOMUA S35. The improved version of the cavalry tank would have been equipped with a more powerful engine (220 h.p. instead of 190) and the improved chassis. But the major improvement would have been the hull and the turret. Welding of rolled armor plates was planned instead of casting and bolting. The new tank designated the SOMUA S40 was planned for serial production in October 1940, but the war that burst in Europe speeded up the work. Engineers were already ready to start serial production of the new cavalry tank in July 1940, but the German invasion started earlier—in May. The Battle of Hannut in Belgium that began on 12 May 1940 can be considered the first large-scale tank battle of World War II. The S35s used in the battle caused much trouble to the Germans. Outside Crehen, to the west of Hannut, a platoon of S35s destroyed four German tanks and a battery of anti-tank guns. Another platoon of S35s, among other German vehicles, also destroyed the tank of German colonel Eberbach outside Tin. The colonel survived, but the attack was stopped. In the evening, the Germans made another attempt, but a counterattack of S35s made them retreat. The S35s took 20-40 direct hits from 20- and 37-mm guns, but survived the battle without a single hole. It was a local success, but the hard situation in other front sectors made the French troops retreat to the second line of defense. The SOMUA S35s were in service throughout the French campaign of 1940, but in general they can be characterized as local success on the background of the overall hard situation. After France capitulated, a number of S35s ended up in the German panzers. The tank underwent some improvements: it was equipped with a two-man turret and a better radio station, and renamed to the Pz.Kpfw. S35 739 (f). In this role SOMUA S35s fought on many fronts, including the Soviet-German front. The latter witnessed a story that, perhaps, became the ground for rumors about German tanks that were actively used in attacks on the Brest fortress. When the Germans started the war against the Soviet Union on 22 June 1941, the Brest fortress was one of the first strongholds that took the enemy strike. The main tank forces of Germany bypassed the fortress leaving it for the infantry, artillery, and other troops. To speed up the destruction of the fortress, the Germans decided to use three S35s assigned to Armored Train #28 in one of the attacks. The tanks were unloaded from platforms and sent to battle. By the end of the day all three combat vehicles were destroyed with grenades and anti-aircraft guns near the North gate. The captured S35s fought in Finland and Norway in battles for the Arctic. In 1944 a number of SOMUA S35s were used in the French army again and liberated their homeland. 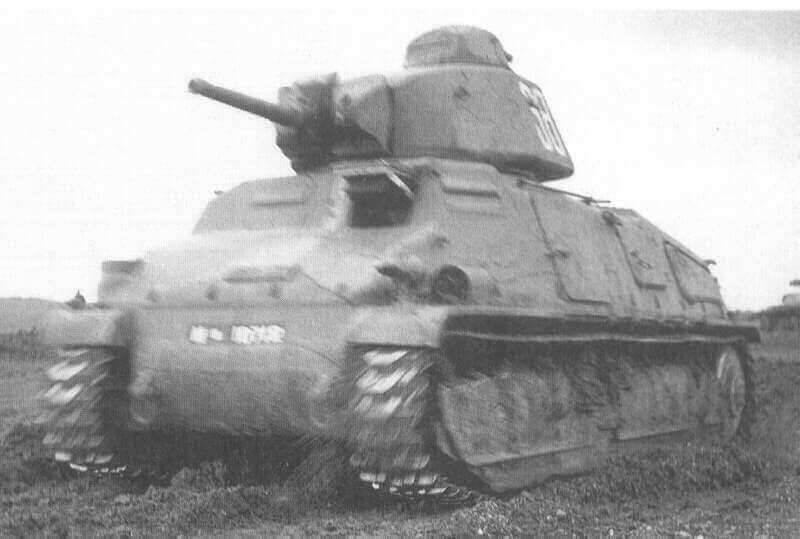 This is the story of one of the best French tanks of the early WW2 period. 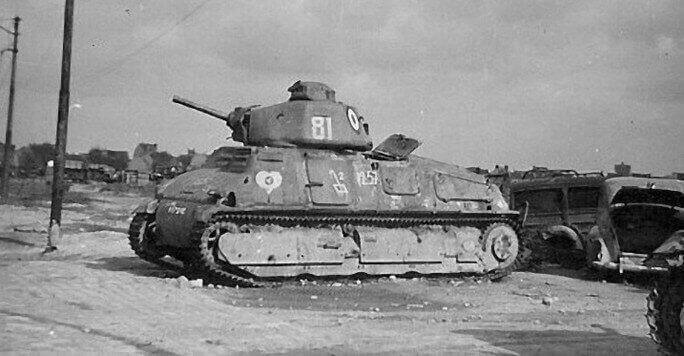 Afterwards, the engineers, who worked on the S35 and its modifications, became the core of the team that restored the tank-building industry of France.